The Anchor public house is situated on the “The Street”, in North Warnborough. In the mid-19th century the Anchor was known as the Hope and Anchor. It is believed that the name Hope and Anchor is a reference to the symbolic figure of Hope who always holds an anchor, as Faith holds a cross and Charity holds a heart. Beer was once brewed on the premises form a spring at the rear of the property and in the late 19th century a carrier service to London operated twice a week. Today The Anchor is friendly family run pub, catering for both locals and visitors alike. The Anchor stocks a range of real ales and serves one of the best pints of courage in the area. On Tuesdays and Wednesday nights the Anchor serves some fantastic homemade food which is offered at a price of two meals for one. 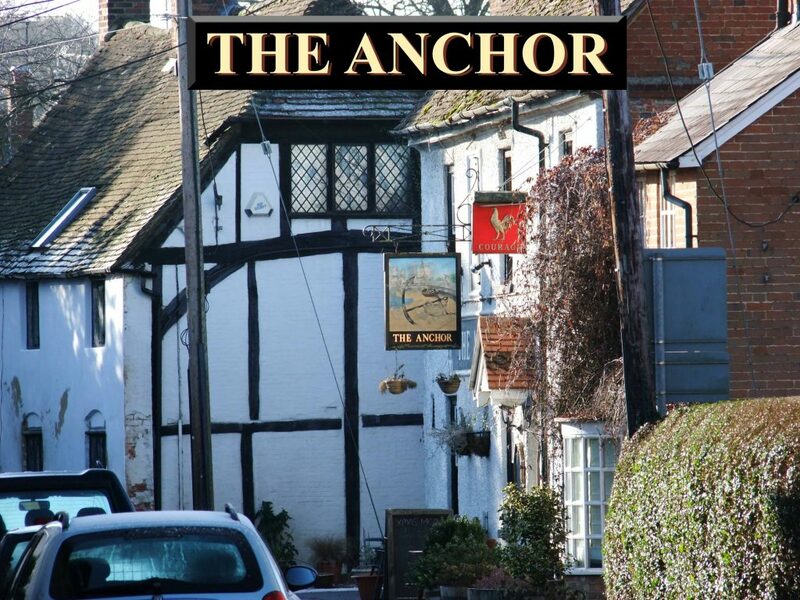 Over many years and to the present day The Anchor has supported The North Warnborough Football Club in particular sponsoring the North Warnborough Two who play in the Basingstoke & District Sunday Football League.